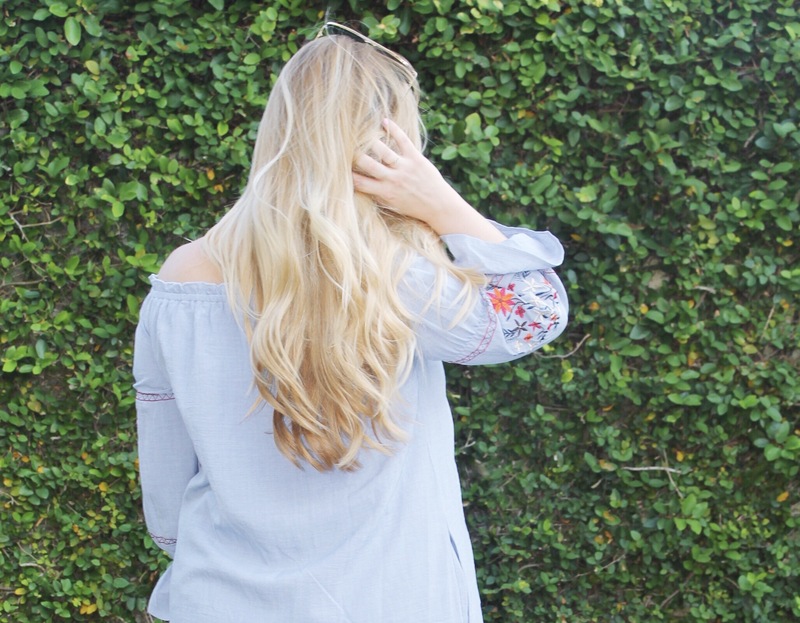 Off-the-shoulder, embroidery, chambray and ruffles … what more could a girl ask for? Oh I know … POCKETS! Y’all, this dress has ALL of those things. Not to mention it’s super feminine, comfy and affordable. 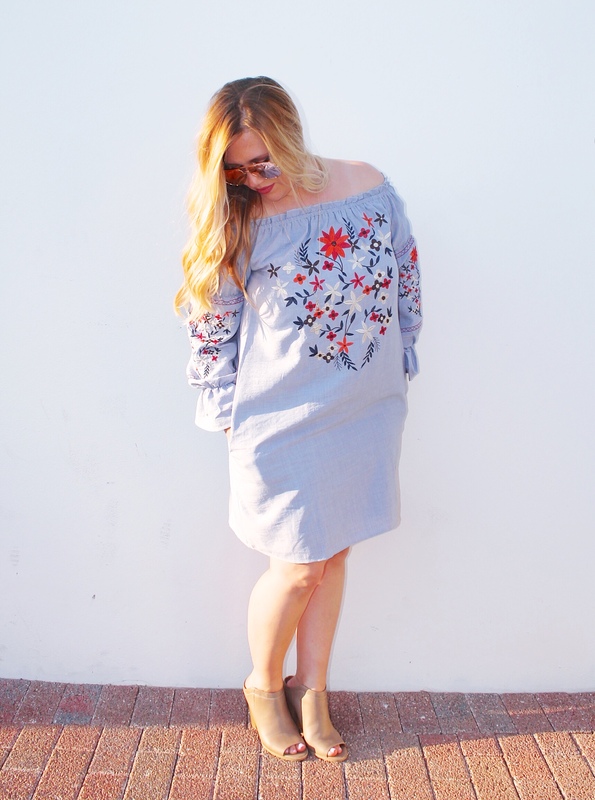 I’ve been living in dresses lately and this one checks off all of the boxes on my favorites list. 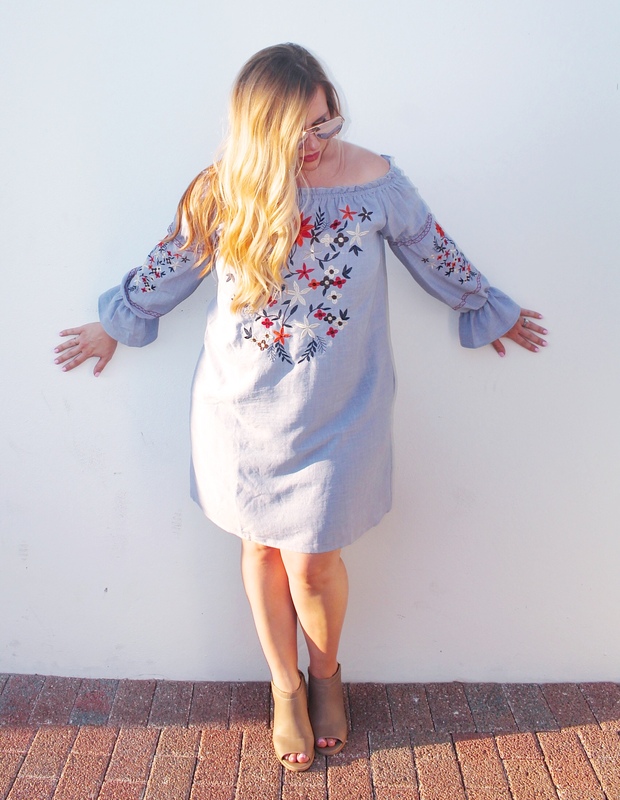 I’m obsessed with all of the detail, from the embroidered flowers to the little ruffle at the wrist. 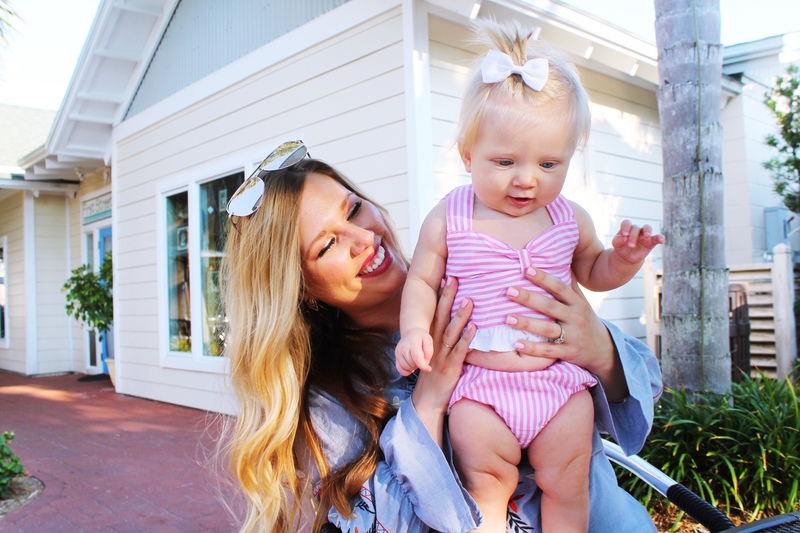 Pockets are pretty much always a must, and the off-the-shoulder style is so flattering on every body type (and easy access for nursing baby girl – mega bonus). 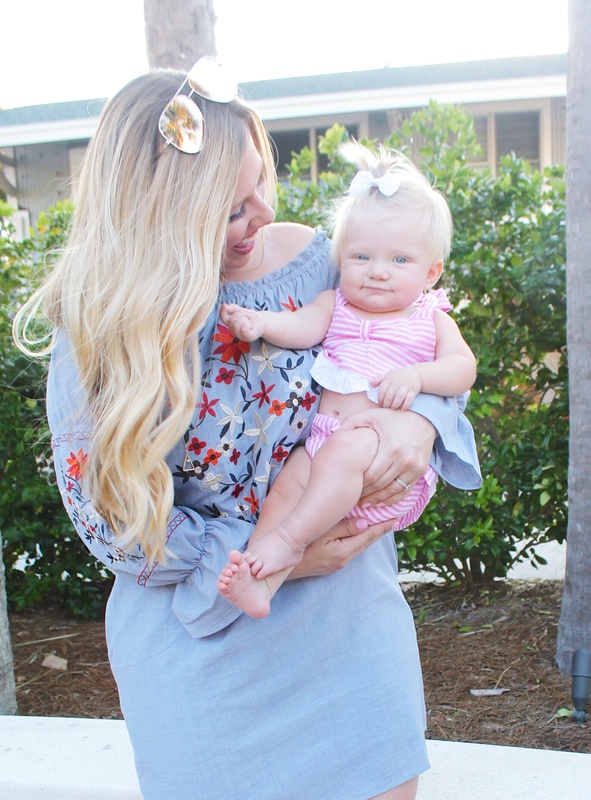 I bought it from PinkBlush which is one of my go-to shops for cute, affordable clothes. 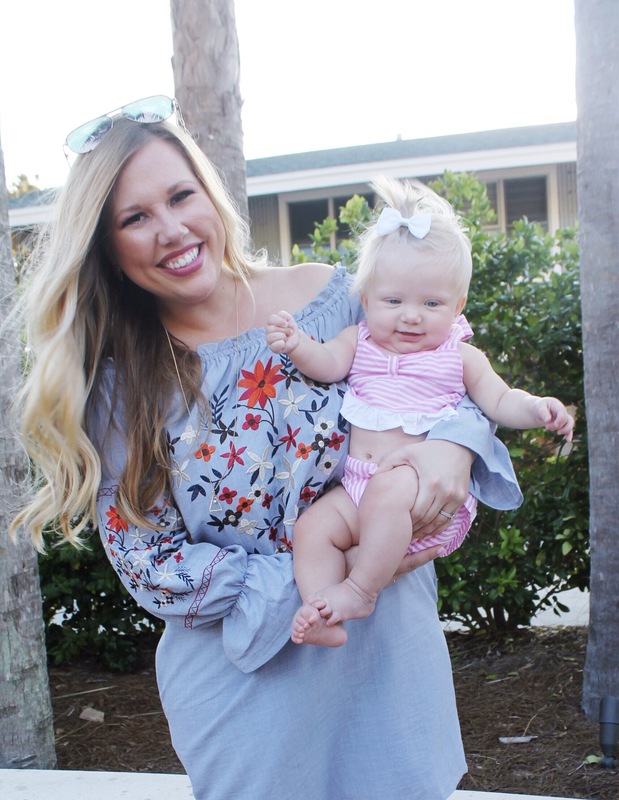 They have so many styles that double as maternity and non-maternity clothes, like this dress. 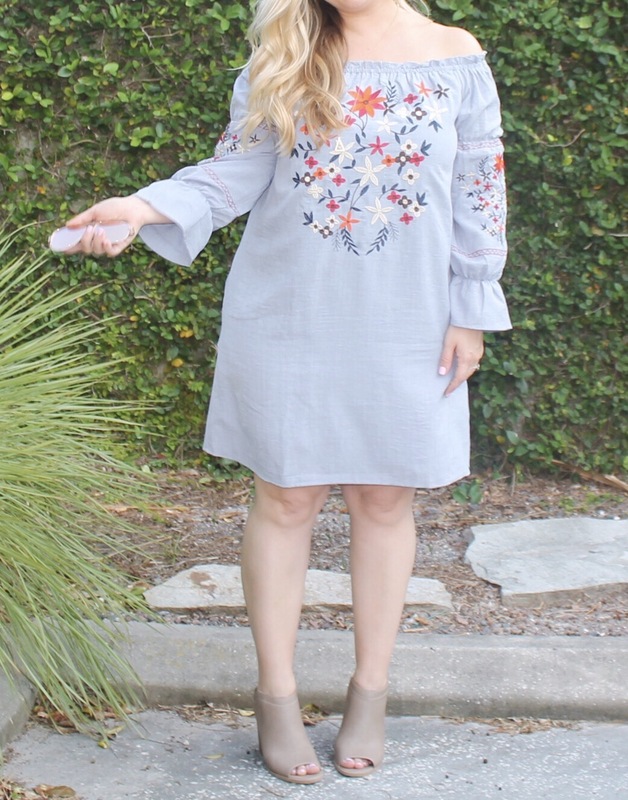 (Because honestly, most maternity clothes can be worn even if you’re not, and so many are so cute!) It’s on sale for $33, so I had to share it with you. I think it would be so cute with cowboy boots, too. Grab one before it sells out! Have an awesome day, loves! Post not sponsored or endorsed.